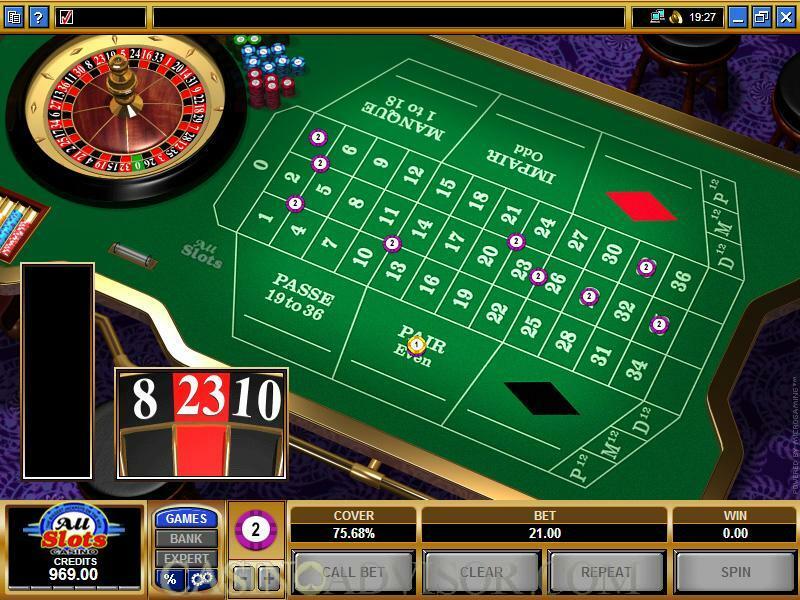 The biggest difference in this game is that if you are familiar with the American Roulette version it may take a bit of time adjusting to the French rules. Once you have the hang of it, it’s as easy as pie after that. There are many in-game help materials available to guide you through and there is a comprehensive explanation of all the bets that are available. French Roulette is similar to European Roulette in that there is no double zero – only a single zero. Thus, there is also more chance of red or black coming up on the wheel. The graphics are exceptional and offer a great simulation of what goes on in a land-based casino. With the adjustable views, you can change the angle at which you play the game and can switch views until you find one that is comfortable. There is a chart on the left side of the screen that tracks ever wager you make and spin of the wheel which allows you to strategize and keep track of wins vs losses. If you’re the type of person that favours strategy and planning above luck, then this feature is great for you. There is a “Call Bet” that lets you pull up different bets by name and designate the amount you want to place on them. Your chip tray has denominations of 1, 2, 5, 10, 20 and 25 dollars. You get to set the denomination for each bet you make. There are maximum bets too – $10 is the max on each of the numbers and in the Passe Box (19 to 36) the max is $80. Because this is French Roulette, you may want to brush up on the language a little. If you’re up for the challenge, you can even learn a couple of French Roulette terms here and there and impress others with your acumen.